This post is written by Honours student, Billy Geary. In the years since, the area has experienced considerable environmental change. 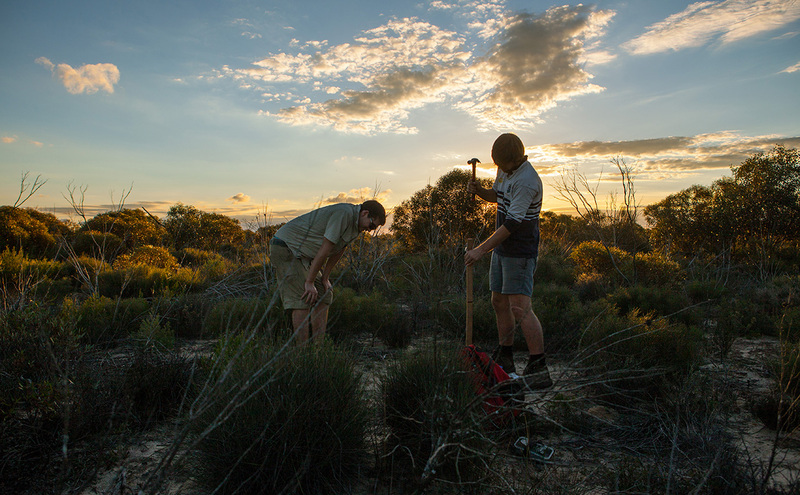 Surrounding large but fragmented patches of remnant Mallee now contained within national parks and state forest, wheat cropping and sheep farming abound. Importantly, fire is now a very common and heavily managed process that strongly influences the local native flora and fauna. Coupled with this, the influx of feral species such as foxes, cats, rabbits and goats has seen many native species decline or disappear all together. Significantly though, the region’s large parks still preserve some of Victoria’s most remote, majestic and largely untouched country. These parks, including the Big Desert Wilderness Park, still hold that sense of wonder that is reported so frequently in the literature of the 1800s and early 1900s. There’s nothing quite like driving over the crest of a sand dune and being blown away by the sheer vastness of the landscape around you. Or, the sense of wonder instilled by a night sky completely unaffected by light pollution. These two experiences do a fantastic job of instilling a sense of just how remote and wild this region of Victoria remains. 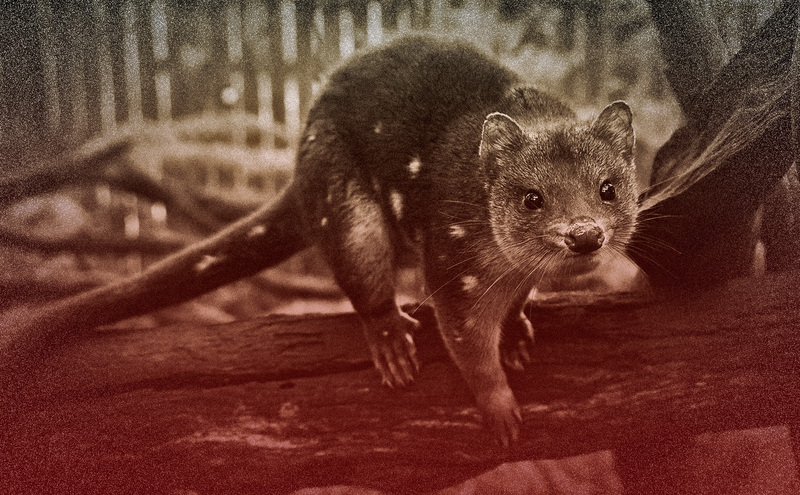 Once upon a time quolls and dingoes appeared to rule the Big Desert / Wyperfeld region from the top of the food web. It’s now a slightly different storey, but no less intriguing. The majestic Big Desert night sky makes for fantastic pondering. Image credit: Robert Geary. This is where my research comes in, just how do invasive mesopredators (feral cats, red foxes) interact with an existing apex predator (dingoes or perhaps wild dogs)? And how well do these mesopredators deal with the challenges this semi-arid environment throws at them, in particular fire? The overarching school of thought in Australia is that our feral mesopredators respond positively to fire events, as it greatly reduces the effort required to seek out and kill prey. However, can the presence of a top predator mediate this response to fire through a reduction in cover available to the mesopredators themselves? Do predators themselves become prey, the hunters the hunted? Given the ongoing trend of increasing fire frequency and intensity across our continent, the one-two punch of changing fire regimes and feral predators (particularly feral cats) is quite a frightful proposition for our native critters. As such, teasing out the interactions between the Mallee’s predators, their prey and the ecosystems in which they live is quite an important proposition. 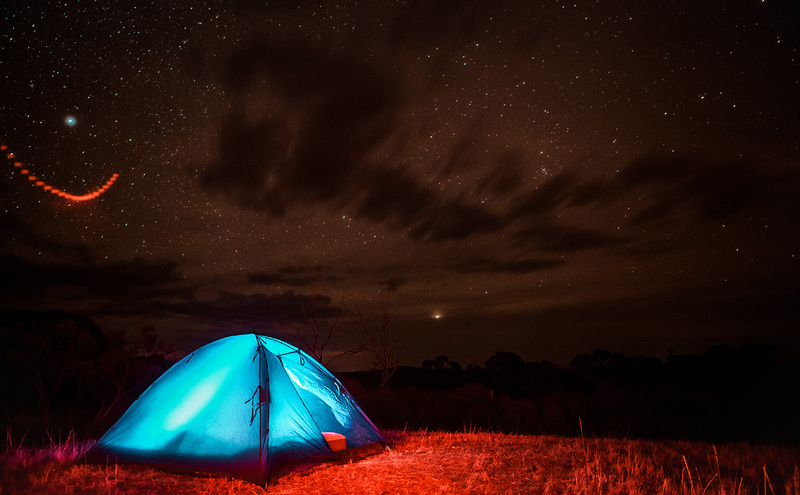 Indeed, it makes for something good to ponder whilst gazing at a beautiful Big Desert sky after setting up camp. Having just brought in the first third of my camera traps, amongst some amazing images of other critters, it appears that foxes, cats and dogs are all well distributed across the Big Desert. For dogs and cats, there’s also considerable variation in their appearance. We’ve got feral cats that look like the legendary Victorian black panther and others with stripes like tigers. There also appears to be canids in the region at both ends of the wild dog–dingo spectrum. To what extent these animals are similar ecologically remains to be determined. These images, as well as a bunch of great shots of the local native critters have been collated into a little video below. In addition to this the small mammal community appears to be doing okay, with Mitchells hopping mice and silky mice fairly well distributed across the park. Same too for the larger residents, western grey kangaroos and emus, which seem to materialise out of thin air over each dune crest as we drove through the park. With only a third of our 105 sites surveyed so far, there’s still plenty more the Big Desert and its array of species can tell us. In particular, I’ll be looking to work out what habitat preferences, if any, our three predators have across the landscape. Secondly, how our predators are interacting with each other across time and space. It will be particularly interesting to investigate any interactions between the local mesopredators and top dogs. We’re only just beginning to scratch the surface of the Big Desert’s secrets, and that’s perhaps the most exciting part. Work in the Big Desert is never a dull affair. Image credit: Robert Geary. While it is a long, long drive to the Big Desert from Melbourne, it’s hard not to be arrested by the notion of just how much is yet to be explored there. Because who knows: just maybe there’s still a giant tiger cat lurking out there, somewhere. This entry was posted in Research and tagged Big Desert, feral, Mallee, mesopredator on 12 June 2014 by Euan Ritchie.